Categorization be damned, the Madison-based five piece, Steez, consisting of Matt Williams (keyboards/synthesizers/accordion), Steve Neary (guitar and vocals), Rob Bessert (drums), Chris Sell (bass), and Andrzej Benkowski (saxophone, oboe, and violin) is — in the simplest terms and the most convenient definitions — a funk band, a jamband, a fusion band, a disco-fanged multi-beast, and a basket case. 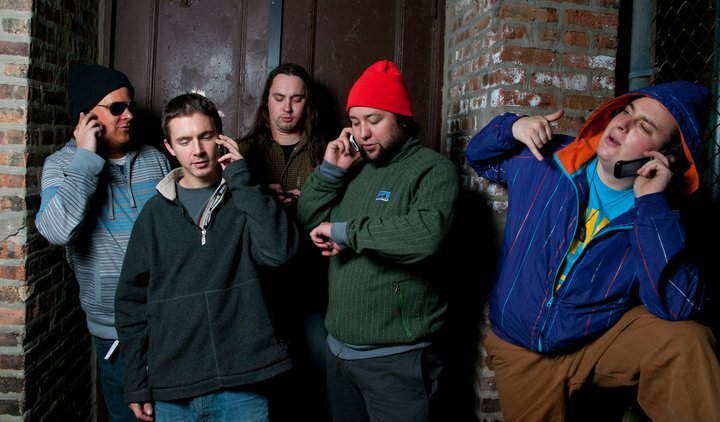 Churning out their self-described Creepfunk, a high energy, danceable variety of funk — one uniquely laced with electronic and improvisational sensibilities – Steez has garnered a loyal following throughout the Midwest, winning contests to perform at both the 2008 Summer Camp and Rothbury Festival and performing to capacity crowds at rapidly growing venues . After receiving repeated acclaim for their live performances, which typically include a seamless weaving of thoughtfully composed originals and crowd pleasing covers spanning from Madonna to clever obscurities like Genialistid (Estonia), Steez is ready to take Creepfunk into the studio for their first full length LP. Hoping to carve out a niche in the competitive jamband landscape, what really sets Steez apart is the camaraderie and endearing sense of humor. The band’s humble beginnings include getting banned for life from a venue after their first ever live performance, maneuvering a moped accident involving a parked car, and cruising the Midwest in the inspired 35 foot band bus, “Big Brown.” While it’s the original songs and taut musicianship that initially grab both fans’ and critics’ attention, the band’s personality keeps it.